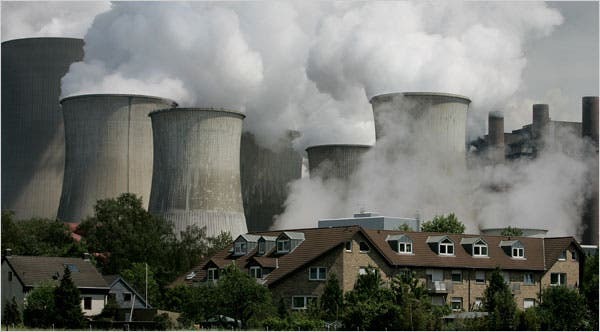 The Environmental Protection Agency (EPA) recently issued the first ever permit that will allow a coal plant to store some of its carbon emissions underground, as a means of mitigating global warming. The idea has been around since George W. Bush, but time and time again its been scrapped largely for economic considerations. Ten years later, FutureGen Industrial Alliance Inc. has now received the go to fit a coal plant in Meredosia, Illinois with such a system. If found successful, the system might become employed across many other coal plants in the US and possibly in the world. Obviously, there’s a growing debate surrounding the permit with detractors citing environmental risks, as well as a lack of consideration for 100% clean technologies in the first place. The process is called carbon capture and storage (CCS) and has been around for years. FutureGen now hopes to capture and inject 1.1 million metric tons of carbon dioxide emissions every year for the next 20 years, the yearly equivalent of 232,000 cars, according to EPA. “The issuance of the permit is a major milestone that will allow FutureGen 2.0 to stay on track to develop the first ever commercial-scale, near-zero emissions coal-fueled power plant with integrated carbon capture and storage,” FutureGen Alliance CEO Ken Humphreys said in a statement. FutureGen 2.0 is slated to become operational at the Meredosia coal plant, where four, 4,000-foot deep underground wells will be drilled. Inside these wells, liquid carbon dioxide subsequently captured from flue gases will be injected for long-term storage. There are many risks associated with the technology. Some voices argue that the liquid carbon might leach into groundwater contaminating it, while a Stanford study found that it is possible that such a displacement might trigger small earthquakes that might breach the storage system, allowing the gas back into the atmosphere, in a manner analogous to fracking. The sheer amount of carbon that needs to be injected for the technology to have any mitigating effect is a problem on its own. Each coal plant would require an underground storage space the size of a major oil field. Even so, if the technology is deemed successful it’s not unlikely it will become employed at a large scale. While there are still important fossil fuel reserves whose exploitation require cleaner means, one can’t help wondering if these efforts aren’t counter-intuitive. Why not develop 100% clean technologies from the get go, instead of just refining otherwise ancient technology? The answer lies of course in a multi-billion dollar industry, entrenched in political and public consciousness for hundreds of years.